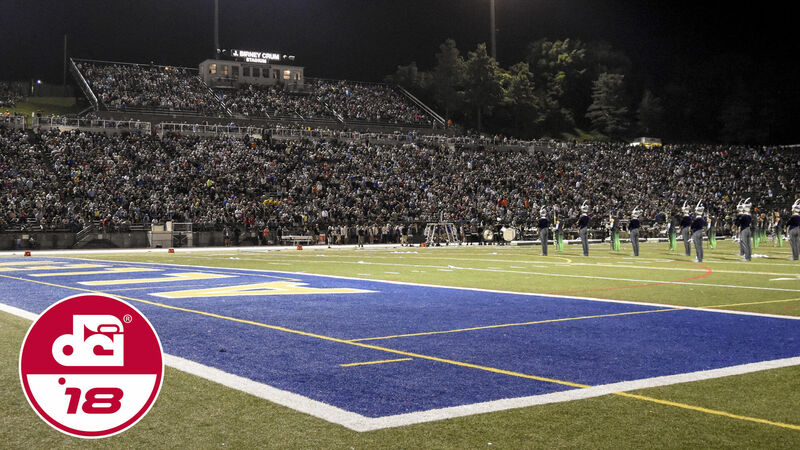 Drum Corps International is excited to return to venerable J. Birney Crum Stadium for the 2018 edition of the DCI Eastern Classic in Allentown, Pennsylvania. Ticket packages can be purchased online through the DCI Box Office, or by calling 317.275.1212. Ticket prices range from $69 to $99, including fees. The package guarantees the same seat for each night of the DCI Eastern Classic on Friday, August 3 and Saturday, August 4, 2018. Tickets will be mailed toward the beginning of the new year. 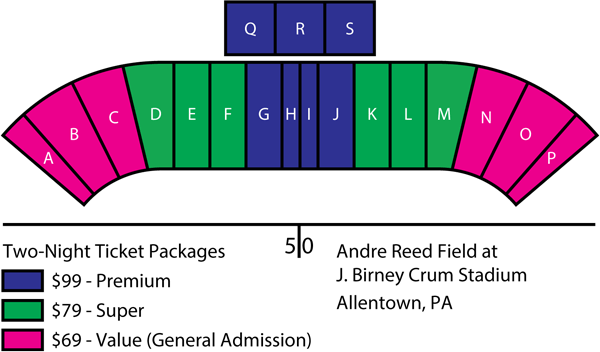 Accessible seating is located above sections E through L. Mobility accessible seating is located in the top row of sections D through M.
To purchase accessible seating, please call the DCI Box office at 317.275.1212. Don't forget that joining the Friends of DCI program at the bronze level and above gives you priority access to the very best seats in the house for the DCI World Championships and select DCI Premier Events, including the DCI Eastern Classic! Learn more about the Friends of DCI and join today! Two-night ticket packages will be available for purchase until 11:59 p.m. ET on Sunday, December 3. Single night tickets will be available beginning Monday, December 4.